SolveTech’s proprietary capacitance based technology provides material producers and converters with the tools they need to be successful. 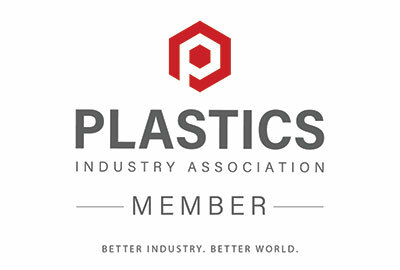 Our technology has special advantages that make it easy to use, provide accurate and precise results and helps keep plastic film producers’ customers happy and loyal. SolveTech offers turn key and customized systems to match our customer’s applications. Get more from your blown film line with the BF200. 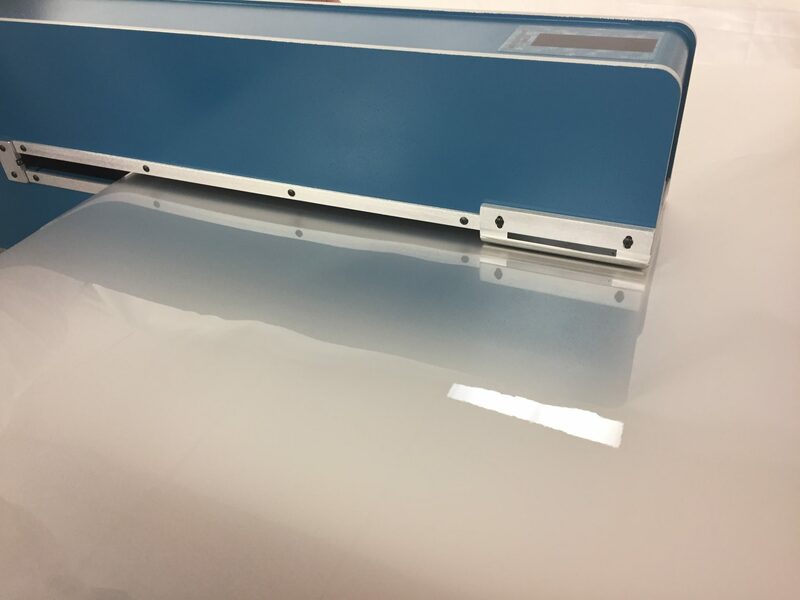 This turn-key system easily retrofits to existing blown film lines to provide profile variability monitoring and average thickness control. Reducing scrap and staying on target with your average thickness delivers and excellent ROI and improves quality. 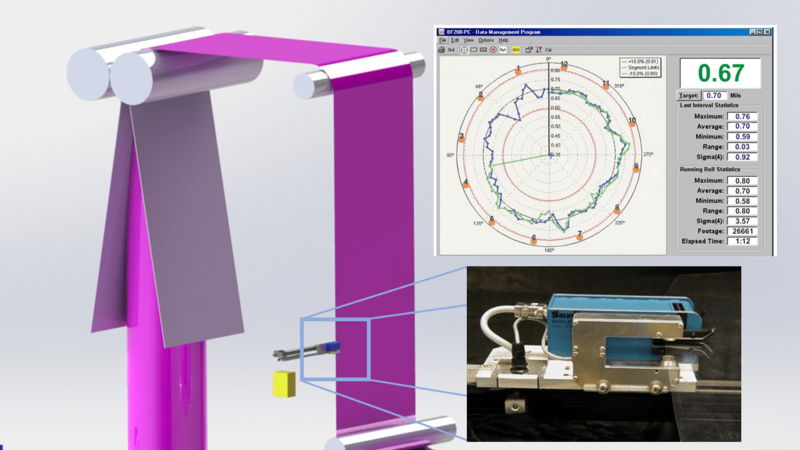 This product is exclusive to SolveTech and the top of the market for measuring narrow webs (Under 60″ Wide). Instead of scanning the web, it creates a complete 3D map. Excellent for R&D, medical applications, nonwovens, and high end film extrusion processes. SolveTech can customize a system to match your needs. 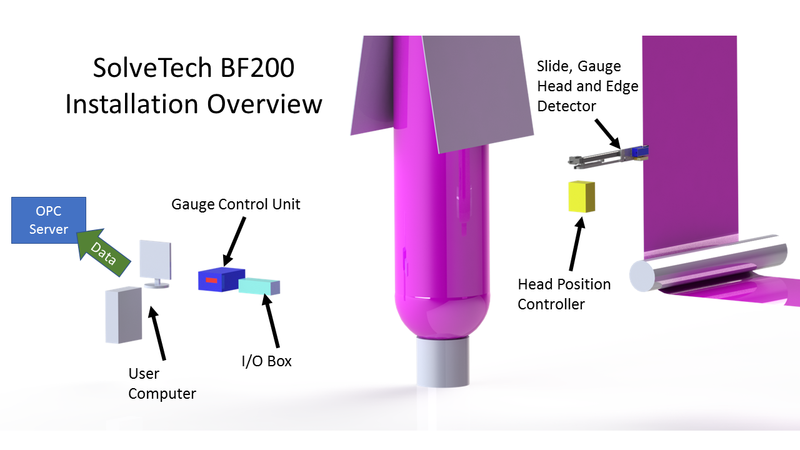 Throat depths of up to 30 inches are possible with custom measurement footprint sizes. If you material if flat and non-conductive, we can likely measure it! 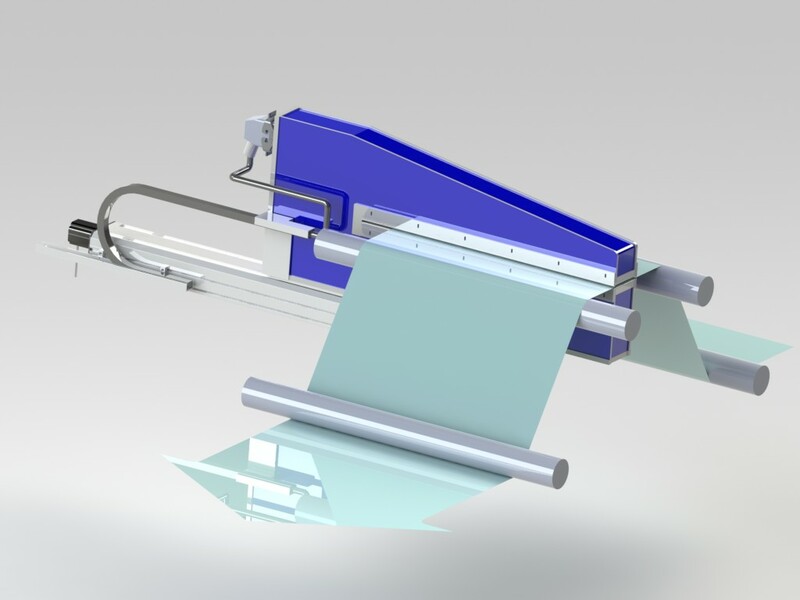 Great for plastic film, nonwovens, coatings and more. Can be used on webs as narrow as 1″ wide. 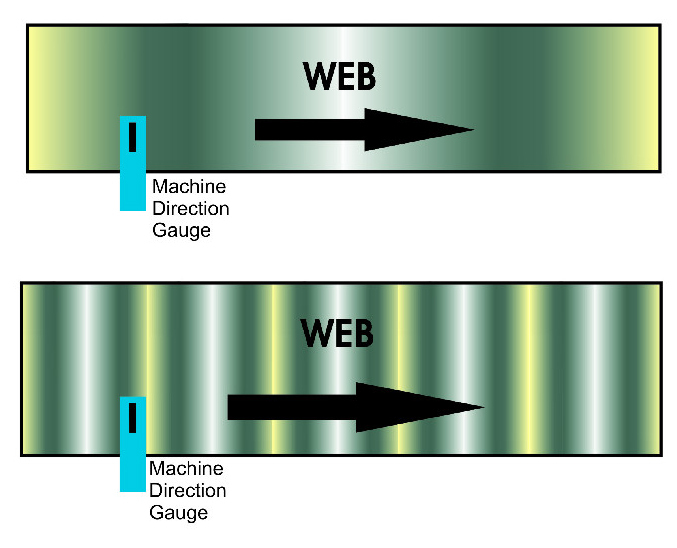 Measure your film extrusion process stability with the fastest and most precise machine direction gauging system on the market. 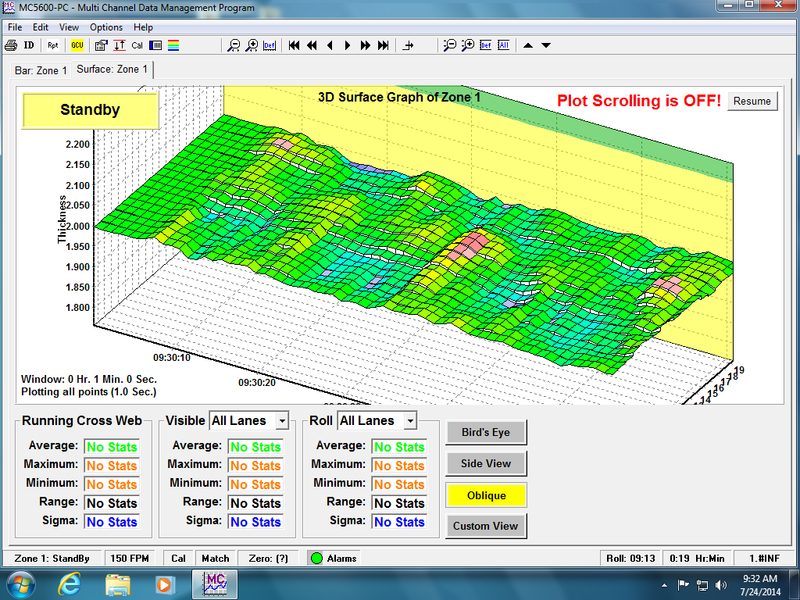 Live FFT analysis is an excellent diagnostic tool for determining the cause of machine direction variation. Contact us here, or call 1-302-798-5400 to have a technical discussion regarding your on-line thickness gauging application.